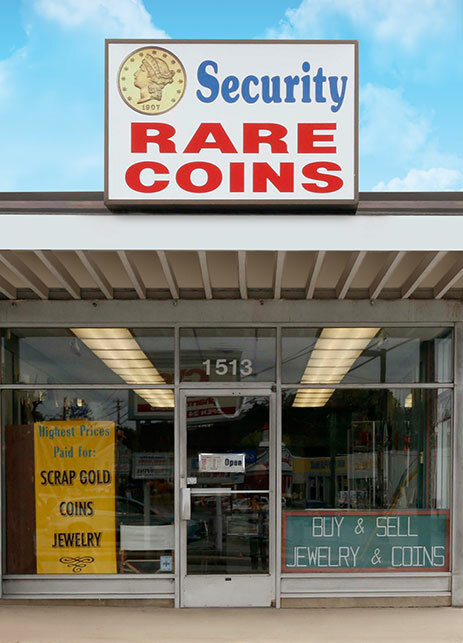 Security Rare Coins has been a fixture in Lancaster for over 35 years. Located next to S. Clyde Weaver between Lititz and Oregon Pike at the CVS Center, we are dealers in gold, coins and jewelry who always offer free valuations of your collections. We make it easy to receive an offer from a trusted source and get paid on the spot. We also offer gold and silver coins or bullion, antiques and high quality jewelry with brands such as Tiffany & Co., Effy, David Yurman and John Hardy.